We have finally finished what I can only describe as our most challenging lambing season to date. 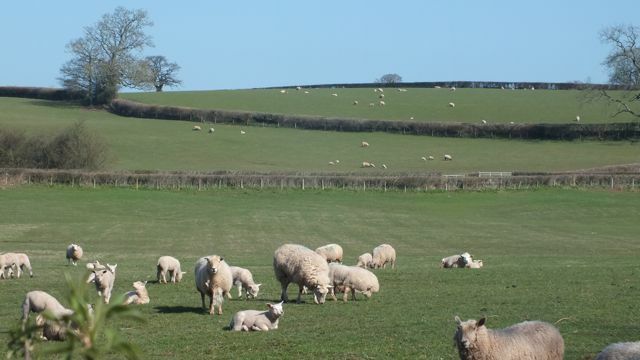 Congratulations to all our new lambing graduates, all ewes and lambs are now outside enjoying the sunshine. Our 30 Fresian x British Blue calves have just been weaned. They were bucket reared so will become friendly, easy to handle cows. 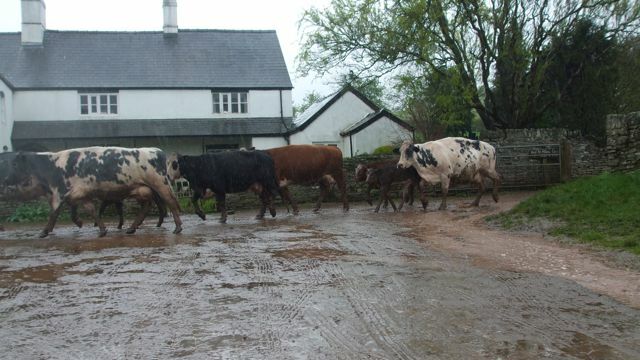 52 of our 2011 bucket reared calves were sold at market this week, following a clear, pre-movement TB test. More calves are arriving soon. 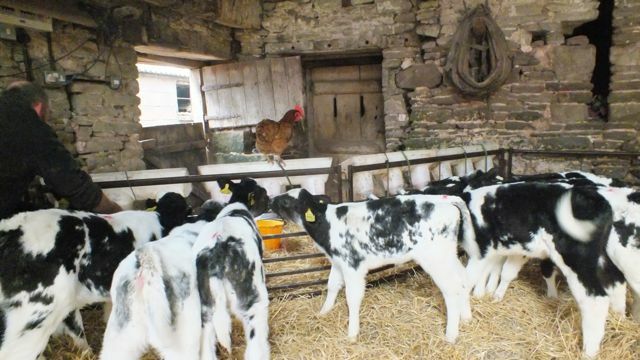 Mabel the chicken training the calves. Lambing may have finished but with sheep there’s always something to do as our students found out last week on the Sheep Husbandry course. Working well as a team and so confident in performing stock tasks by the end of the day, we left them to it! Well done all. They also sorted the first of our spring lambs ready for market. 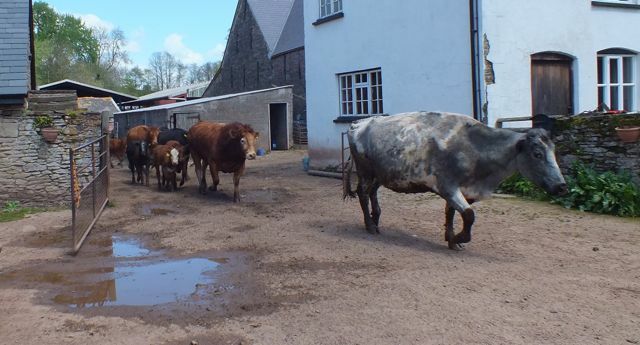 These were sold the following week at Abergavenny Livestock Market. Hard to believe that there will be a supermarket standing here next year. It will soon be shearing season, essential to prevent fly-strike during the hot weather. 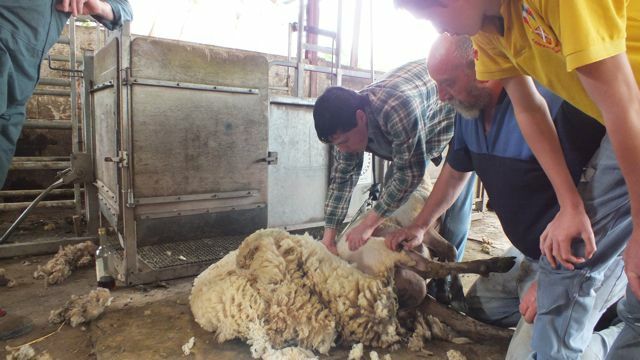 Details of our Shearing courses can be found here. Coppicing and fencing of the river has now been completed. We were extremely happy to see one of our otters with two of last year’s cubs. Not only can you see them here but if you turn the sound up you can hear them communicating. Thanks to the change in the weather, we have managed to plant 20 acres of spring barley and 20 acres of spring oats for animal feed and straw next winter and also sown 10 acres of grass seed. With farming, you’re always planning ahead. Here’s hoping that the weather is going remain kind. Well I am one for old country sayings but feeling a little let down this year. “Oak before ash we’ll have a splash, ash before oak we’re in for a soak”. 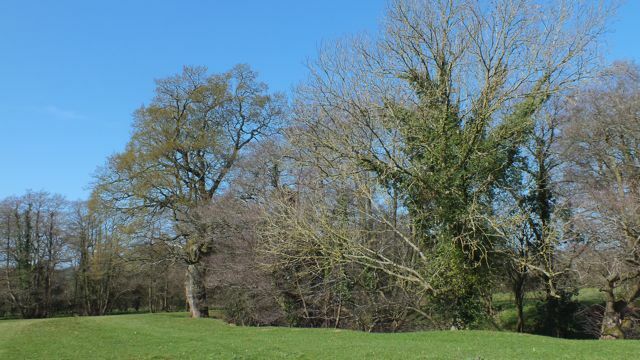 Oaks are more sensitive to temperature and when this picture was taken in March, it was warm. Turned out to be more of a soak than splash throughout June but I’m sure the heat wave is on its way. We are thoroughly enjoying running courses on the farm and judging by the feedback in our visitor’s book, students are too. It is particularly encouraging to see people returning on different courses. Our star pupil to date is about to complete his fifth course here and is now bringing the pudding! We did manage to find 2 consecutive dry days to complete our shearing courses after postponing due to soggy weather. Very proud of all students who were complete novices at the beginning of the day but shearing 4 or 5 sheep in the afternoon and looking extremely competent. Crystal balls should be available for all farmers as an essential requirement. We have spent most of June chasing dry days to respond to the many requests for shearing. These requests have to be balanced alongside the need to get on with baling, which also requires good weather. As with most working mums, I very rarely have any “me” time but thoroughly enjoyed an impromptu foraging day out in conditions that can only be described as a monsoon. What happened was………. Have been snapping in between showers and have added more photos to our gallery, please have a peek and see what you think Kate’s Country School Gallery. “It’s not a job, it’s a way of life” is said many times but very true of farming. Farmer’s wives everywhere deserve a medal for their ability to read minds, bite their tongue and bring multitasking to an olympic standard. Saturday morning I was hoping to lie in until 7.30am. Rudely awakened at 6am by not “Good morning” but “I need you to help me get a heifer in, she’s calving”. Bleary eyed I trudged through the mud, in the rain with my sweet husband and sure enough saw 2 feet sticking out of the back end of the poor first time mum. She was looking bewildered as magpies were pecking at the yet undelivered calf. At first glance the feet looked like front feet until further investigation revealed that not only was the calf backwards but upside down! Not good in any calving but made worse by this being her first calf. To cut a very long story short, Bill (My Uncle Bill visited that day) was born safely without veterinary intervention or caesarean. Llanthony Show is a traditional local show run by farmers and is 50 years old this year. 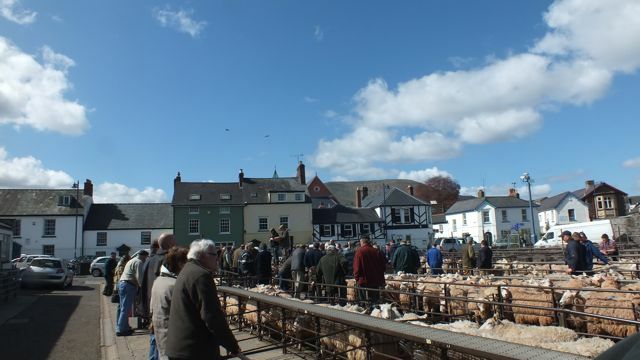 We will be there giving sheep shearing demonstrations and reintroducing an old competition. 20 years ago I won the “guess the poo” competition at Llanthony and was extremely proud to have almost full marks (got the bat poo and mouse poo the wrong way around). Since then I have been using this intellectual assessment on students studying Animal Management at Coleg Gwent where I am a lecturer. Not only will this competition be at Llanthony but we also have a stand at Monmouthshire Show where you can have a go (Don’t knock it till you try it)! Animal droppings are a useful means of tracking and identification and we are introducing a new course called “Wildlife Workshop” on August 31st which offers an introduction to wildlife identification of trees, flowers, animals, birds and freshwater bugs. I had a few enquiries from people who wanted to know what the trees were in their local parks and how to track and identify common wildlife. 2 weeks ago, I took the camera around with us whilst we checked the stock in the morning. It’s a glimpse into a normal day in our “office”. My Dad was a creative writing teacher for 25 years, working with students as diverse as the elegant ladies of Lytham St Annes and the less fastidious residents of high security prisons. He has had over 1500 articles published, produced three successful books and two CDs, all with countryside themes. Looking forward to him teaching on our “Country Writing ” course on July 20th. I’ve signed up for it! 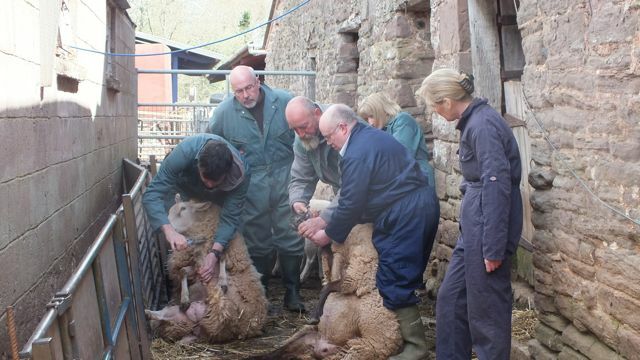 Finally, due to popular demand, we are adding an extra Sheep Husbandry course. This will be in September (date to be confirmed) keep an eye on our website for updates. It’s June, where did May go !! We are very happy to announce that our website is finally Live. If you haven’t already seen it, have a peek. Some of you are starring in it! Many thanks for that. Kate’s Country School. Well, I did go to the Jubilee celebration in a local church with the Queen and Duke of Edinburgh (and lots of other people!) It was amazing. 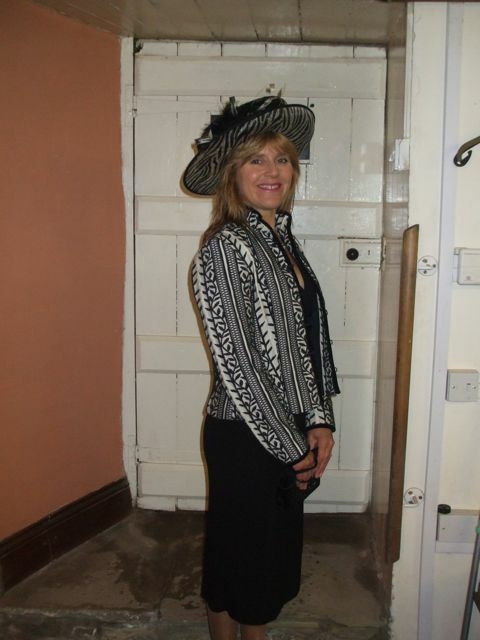 No cameras were allowed in the church but had a picture taken of my hat beforehand. No wellies or overalls today! You have to admire that lady, 86 years old and still working so hard. Hope Phillip is feeling better very soon. Our sheds and barn have been cleaned out and the muck spread to fertilise the fields ready for our greencrop which will be planted in June. (Circle of life, this will be eaten by our pregnant ewes during the winter months). We also planted spring barley at the beginning of April. 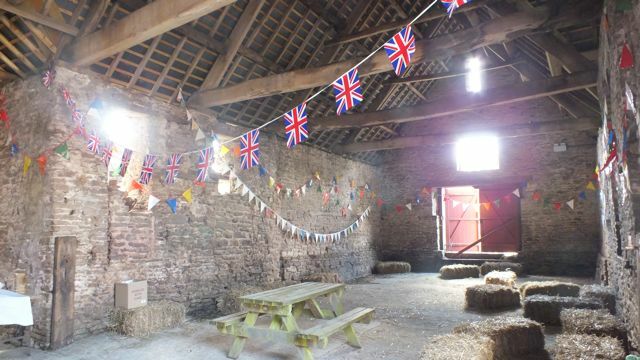 The barn was used this weekend for our village Jubilee party. It’s a wonderful, multifunctional barn. Our beautiful old barn, day after our village party. Our pigs are outside enjoying their new enclosure. Happy to stay in bed when the weather is grim. Piglets arrived in time for our Introduction to Livestock course where students also had hands on experience with sheep, chickens and calves. Jim decided that our lambing shed was looking too empty after lambing so we now have 34 calves we are bucket rearing. He has also decided that we need 20 bronze turkeys to rear for Christmas. Life is never dull here! There was a familiar sheepy aroma around the kitchen table at the end of our Sheep Husbandry Course. It was very hands on. Well done to the students for remembering to bring waterproofs! We have sold 200 lambs so far this year. Our cattle have been very confused this year. 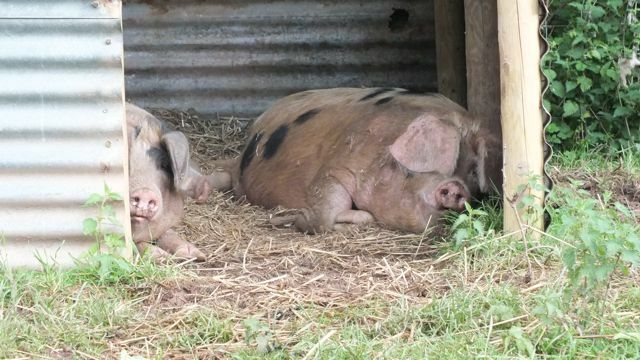 In April they left their winter accommodation and returned to the fields. They then had to return indoors when the weather turned extremely wet. They ran eagerly inside for shelter! Yuk! Not staying out in this! They are all back outside again enjoying the grass. 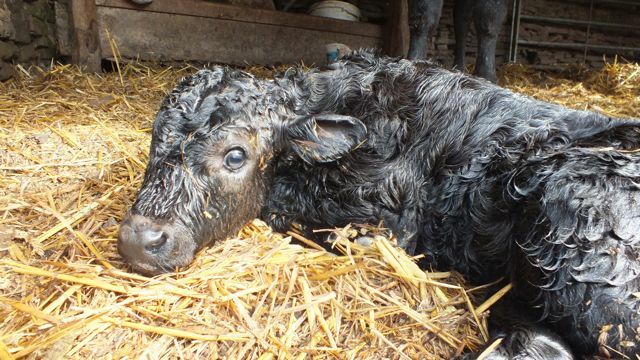 we have had 29 calves born so far this year with two pregnant cows left. Watch this space ……. We began shearing on May 28th and it is still ongoing. It was lovely to see our son learning this valuable traditional skill from his Dad. An traditional skill being passed down to the next generation. Monday 21st May was an interesting day spent sailing down the Thames on a farm themed boat to launch a new NFU farming campaign, Farming Delivers. Wildlife is abundant on the farm this time of year. Our otters have been seen frolicking with their young on the river. 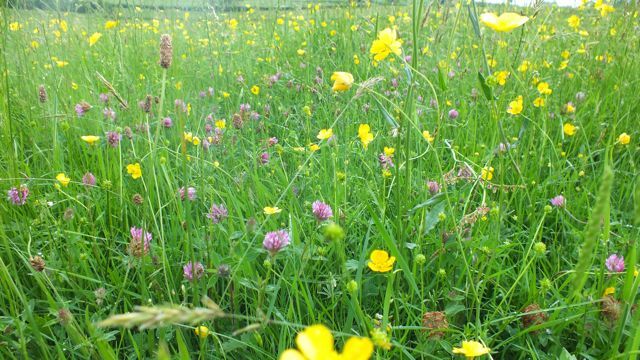 Nesting birds can be heard in the hedgerows and buildings and our meadows are looking spectacular. You can see for yourself on our Wildlife Course on June 29th. Unfortunately our bees swarmed earlier this year. It wasn’t unexpected as the queen was three years old. I have a new top bar hive arriving this week with a new batch of bees. Less intervention required and we can let the bees get on with things as nature intended. If you’re ever stuck for gift ideas, don’t forget we can supply gift vouchers. Hand made and posted or e-mailed directly to you. The perfect present! Hope the weather improves. have a good rummage through the website and see what you think.